Spicing things up at Garvey! With fall finally arriving at Garvey and the temperatures dropping, we've decided to spice things up around here. Now at Garvey, we have a fantastic selection of everything you need to make drinks of this season's favorite flavor: PUMPKIN SPICE! You can make them now with your favorite brands, like Kahlua, Rumchata, and Fireball Whiskey! Looking to impress your friends with tasty new take on traditional jello shots? Try these Pumpkin Pie Pudding Shots with Fireball Whiskey Cinnamon! Want a quick and simple drink to make at the end of a long day? 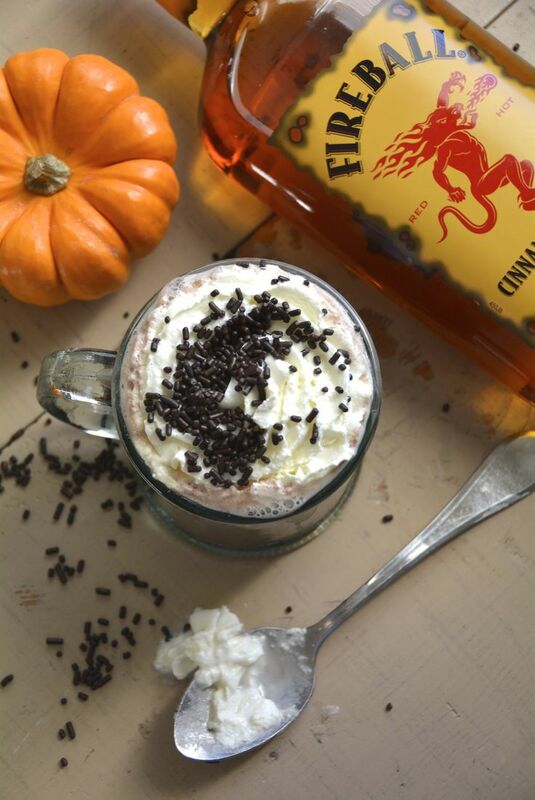 Cuddle up with this Kahlua Pumpkin Scotchie. Maybe your family has just come over and you need something even simpler but just as delicious? Grab your Rumchata and impress them with your quick thinking by making this Rumchata Pumpkin Pie Martini. For those of you still mourning the October, try this Wicked Coco Cocktail! All you need is that Fireball Whiskey you picked up the last time you came to Garvey! Enjoy and stay warm, friends! P.S. Need to replace those mismatch wine glasses before your in-laws OR significant other comes over for Thanksgiving? We got you covered!